Univox® is the leading brand of hearing loop systems. Over 50 years old, it is associated with most of the major technical innovations in this field. 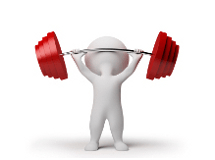 Tendzone are a young, innovative and exciting manufacturer of AV digital network products. Their DSP technology is not only world class, it is afforadable. FULGOR SERVICE specialises in broadcasting intelligible high quality audio in acoustically challenging environments. With expertise gained over 30 years of leadership in the field of amplification for sacred buildings they are a principal supplier to the Catholic church on three continents. 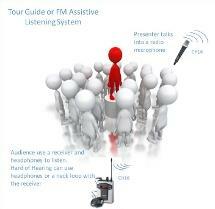 Your Hearing Loop system is only an asset to your business when your visitors know you have it. 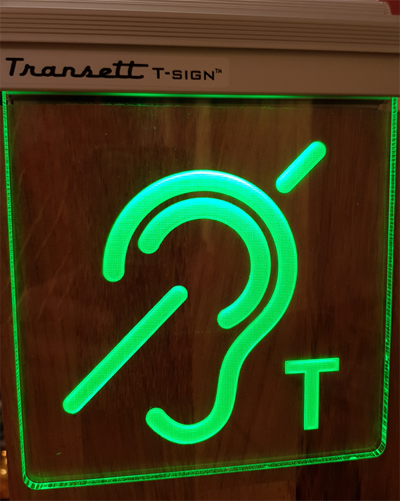 The Transett -T sign not only looks attractive, it is continuously monitoring the field strength of the hearing loop system and displaying its performance so that everyone knows it is working well. Throw away your loop stickers - use Transett T and make a positive impact promoting your loop systems. Solution: The installation of Univox SuperLoopSeries® induction loops, professional loops and cross counter loops within a carefully designed system throughout the opera house. Benefit: Exceptional sound quality and clarity whether on floor level or in tiered seating enabling hearing impaired opera fans to enjoy live music and libretto, increasing visits to the opera house. UnivoxAudio, Ltd. Tel: +44 (0)1707 339216 - writeto@univoxaudio.co.uk | General Conditions of Use | Copyright © 2012 UnivoxAudio. All Rights Reserved.